Any other virtual combat pilots? 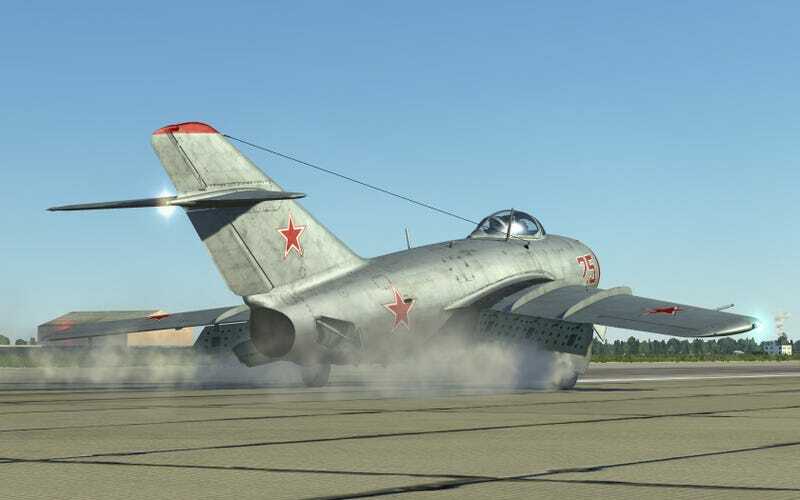 I bought the Mig-15Bis in DCS World yesterday ($25 on sale, woo!) and HOLY CRAP it’s so much fun! It’s fun to fly, it’s fun to shoot, and it’s also kind of fun to get shot down. That’s not me landing, mine so far have always tended to involve a lot more fire. All aboard the hype train for the F/A-18 and F-14!